A word from Fr. Matt in Brazil and a few photos showing some of the things we’ve been up to here over the last few months. 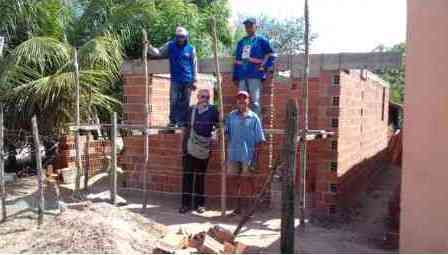 Besides having helped out a lot of people in different ways we have also built another little house for a very poor lady who lives with her great grand child called Juvenal. 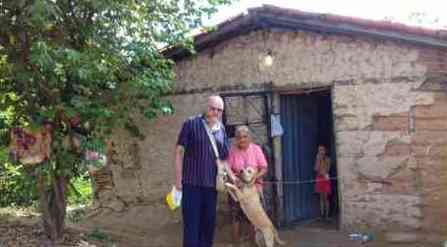 The name of the lady is Dona Francisca. 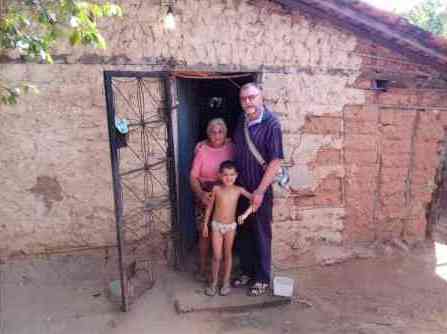 Juvenal’s mother didn’t have a stable partner and used to live with Dona Francisca. She was an usuário de drogas and she died of cancer a few years ago, as a result of an overdose which maybe she had taken to aleviate the terrible pain she had to endure. Lets not judge her !!! The house we’re building is very small by Irish standards but is sufficient for her. We hope to roof it over the next few days and to hand it over to her by the middle of August. 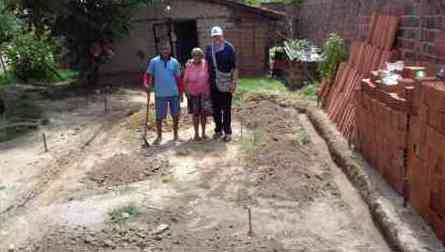 We’ve also begun the building of another Capela which at times will be their Community centre. Its located in a poor and dangerous place in our Área Pastoral. We try to give priority to these places where the local government have most difficulty. This capela which is 18 metros long by 7 wide is at an initial stage but we build slowly as we are trying to get the local people as much involved as possible, sothat they’ll feel that this their building. That’s not always easy because of their poverty on one hand and on the other hand their tendency to imagine that the Church has loads of money !!! (And I trying to hide the money that ye gave me!). On several different occasions you’ve enabled by means of small donations to help out poor people with food with medicine paying rent, working instruments etc. etc. The International Wheelbarrow Extravaganza returns again this year to Borrisoleigh Festival which takes place on July 21st and 22nd. The competition is open to everyone to submit their modified wheelbarrows to be in with a chance to win some great prizes. Your imagination is the only limiting factor in this unique competition! A host of other events and entertainment is lined up for the weekend. The Festival will be officially launched on Saturday at 7.45pm. DJ Matt Ryan will entertain the crowds until the runners from Borrisoleigh Track Attack participating in the 500km Presidential Run relay that takes in the ancestral homes of American Presidents namely Ronald Reagan (Ballyporeen), John F Kennedy (New Ross) and Barack Obama (Moneygall) arrive back around 8.00pm-8.30pm. 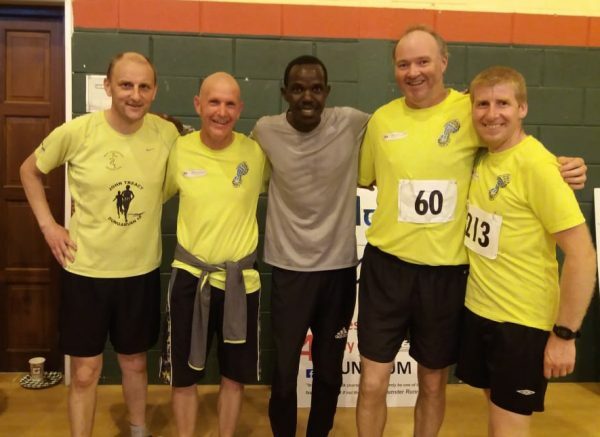 Funds raised from the Presidential Run will go to the ASD Unit of Scoil Naomh Cualan in Borrisoleigh, Teach Saoirse (Enable Ireland) in Nenagh and Track-Attack. This will be followed by live music in The Square by The Shakes from 9.30pm til late. Sunday sees the Bush and Briar Ramblers taking to the hills at 9am. Registration for the walk is at 8.40am. Entertainment in The Square begins at 2pm with the Wheelbarrow Parade when all the entries will be taken on a short parade. Get yer boots on at 2.30pm with Line Dancing until 4pm. This is followed by the hugely popular Social Dancing with Phil Maher’s Band. 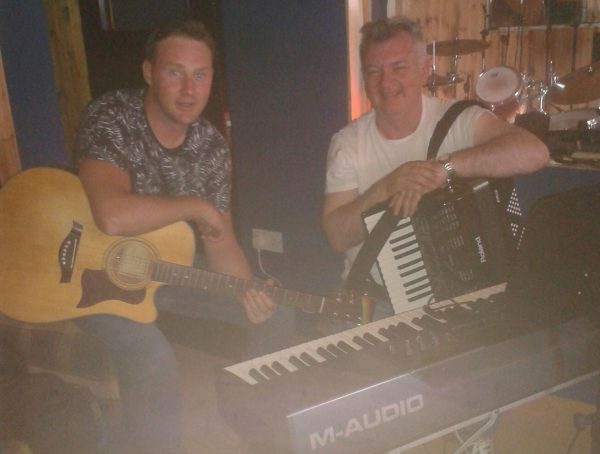 The young duo Dufrane take over at 6.30pm until local legends Silver Dollar take over at 8pm til late. There’s plenty for all ages happening in and around the Community Centre. The Laughter Yoga for adults and Children’s Yoga are expected to fill up fast. Avoid disappointment by texting or phoning 087-6476278 to secure a place. A willow wheelbarrow workshop will be ongoing from 2pm to 6pm. Children’s entertainment includes Bouncy Castles, Disco Dome, Galdiators, Hook a Duck, Milk a Cow and lots more. There will also be a BBQ to satisfy your hunger during the day. Entries to the Wheelbarrow Competition are now being sought. Full competition rules will be put up on Facebook and the website www.borrisoleighfestival.com. There is fantastic scope for individuals, community groups and businesses to come up with their own unique designs, decorations and modifications. Whether you want to make a wheelbarrow from old pallets, show off your prize petulas, decorate in your club colours or add solar panels and gadget charging stations to your wheelbarrow, the choice is up to you and the fame and glory is yours for the taking! The wheelbarrows will be on display to the general public on Sunday 22nd July when the judging will also take place. The Festival committee would like to thank everyone who has helped out with the planning and organisation of this year’s event and to all the businesses who have sponsored the booklet, without whom the event would not be possible. The Track-Attack Presidential Colour Run will be held tomorrow (Thursday) night in the park in Borrisoleigh. In what promises to be a great night, registration will begin a 7pm. The run will be free to the first 500 people who turn up with a white t-shirt. The warm up for the 2.5km course will start at 7:30pm and will be performed by former Inter County hurler Paddy Stapleton. There will be plenty more action for kids on the night with bouncy castles and bubble soccer etc, thanks to the generosity of Matts Bouncy Castles. Donation buckets will be available on the night if participants wish to donate with funds raised going towards the Autistic Unit of Scoil Naomh Cualan in Borrisoleigh and Teach Saoirse in Nenagh which is part of Enable Ireland who provide respite care for families with disabled children. We will have a shop, tea/coffee, confectionery, popcorn, barbecued food etc available on the night and the funds raised here will again towards the aforementioned causes. The Colour Run is for everyone, adults and children. It will be the ideal family occasion. U16’s lost out at the quarter final stage of the championship this week with an unfortunate defeat to Moycarkey. Final score: Moycarkey 4-07, Borris-Ileigh 1-05. Scores from: Katie Fitzgerald 1-01 & Dani Ryan 0-04. This team had done really well all year, reaching the semi-finals earlier in the year and beating Moyle Rovers and Thurles at this round. This year’s team were extremely young and next year they will be the ones to beat. Hard luck girls and well done on playing so well all year. U13’s played Moycarkey on Tuesday last, and although down 10 points at half time, they came back into it in the second half and narrowed the margin to be defeated by 4 points at the final whistle. Final score: Moycarkey 5-02, Borris-Ileigh 4-01. Scores from: Aoife Fitzgerald 2-00, Alesha Fanning 1-00, Emma Maher 0-01 & Jane Delaney 1-00. Hard luck girls. U12’s attended Caman to Munster in Rathkeale on Saturday last. 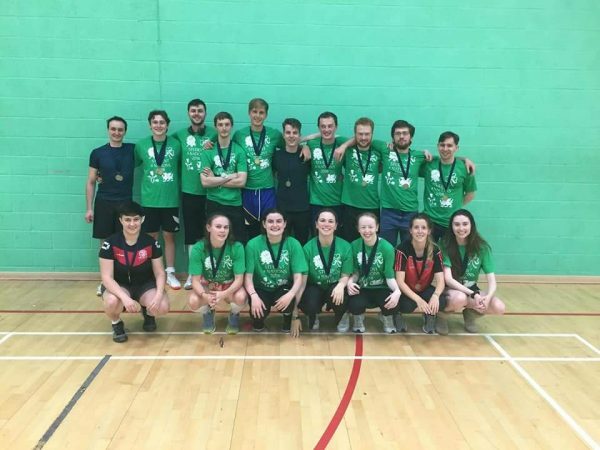 A fantastic day was had my all, winning two out of three games. Well done girls. U10’s played Silvermines this week in Dolla. Well done to all and many thanks to Silvermines club for having us. 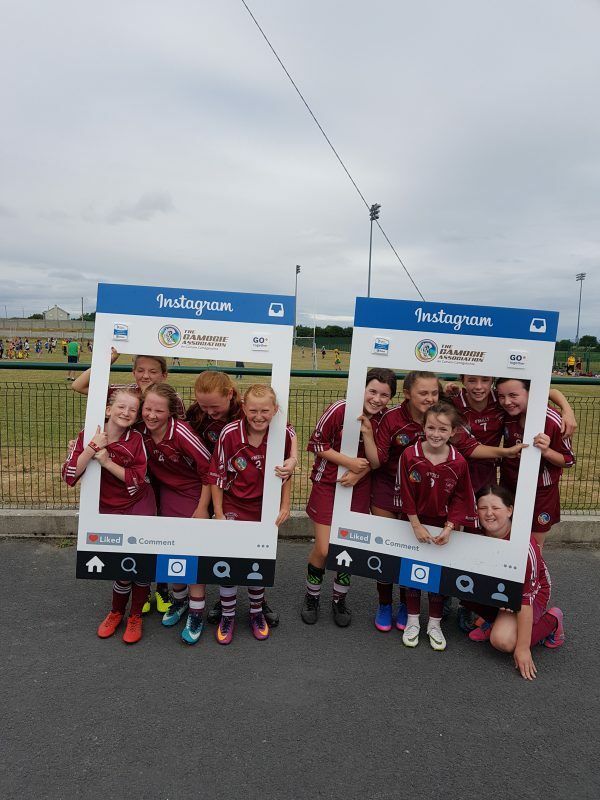 Upcoming U10 blitz’s: July 28th, August 25th & September 29th. Tara Maher was crowned the under 8’s Skills competition champion this week, just ahead of Grace Groome with Emily Healy and Ella Groome tied for third. All the girls performed brilliantly and their efforts were rewarded with a well earned medal. 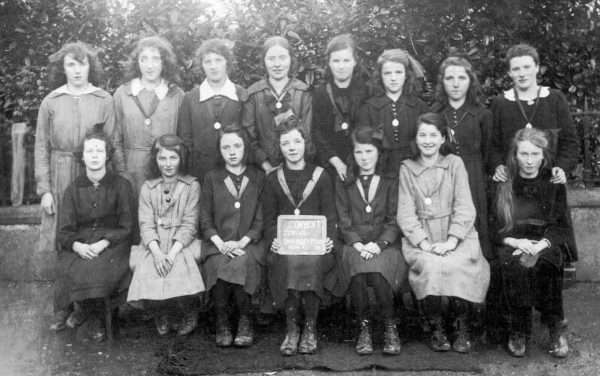 Many thanks to Christy Slattery of Latteragh Craft who sponsored beautiful medals for the competition. 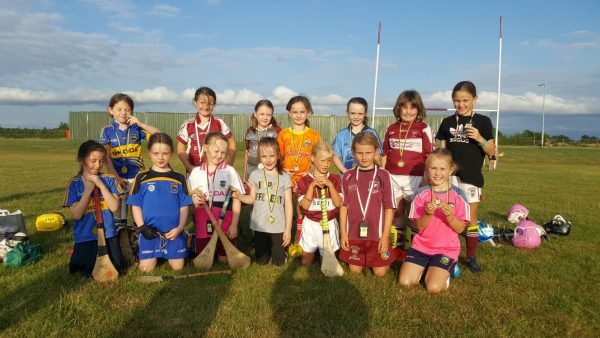 U8’s attended the monthly County blitz in Burgess last week. Many thanks to Burgess Duharra club for hosting. A great morning was had by all. Upcoming U8 blitz’s: August 11th & September 8th. A unique event will take place in Borrisoleigh on Friday 27 July when two simultaneous hand bell ringing marathon recitals will take place. The bell ringing will be conducted by the London-based guild of St Cualan, under the direction of Thomas Hinks. The Guild of St Cualan takes its name from the BearnanCualan, a tenth century Irish bell shrine which is in the British Museum. The bell shrine originally belonged to the monastery of St Cualan at Glenkeen but came into the possession of Thomas Lawlor Cooke of Birr in the late nineteen century. It was sold by Cooke along with other artefacts to the British Museum, where it has been on display ever since. When this guild of bell ringers was first formed, so enchanted were they, by the BearnanCualan in the London Museum, that they adopted the name for their chapter. It was only in more recent times that they discovered the story behind the famous Bearnan and its association with Glenkeen. The group will divide into two, one half remaining in the Church of the Sacred Heart in Borrisoleigh, while the other head to ancient Glenkeen. At about 1.00pm, they will commence their marathon peal, which will continue for three hours. We invite people to come along to either of the venues and remain for whatever length of time that they wish. This craft of handbell ringing is as ancient as it is unusual. While it practised by quite a number of chapters in the English Anglican church communities, it is largely unheard of in Ireland. As far as can be ascertained, this is the first time that such a venture has been undertaken in southern Ireland. An occasion not to be missed and we appeal for your support in extending a warm welcome to these visitors to Tipperary. Well done to our Senior Hurlers who made it through to their second successive “Tipperary Water” County Senior Hurling League Division 1 Final after an impressive victory over Kiladangan in the Park last Tuesday evening keeping us on track to retain our title.We started the game in a very imposing fashion and raced into a five point lead thanks to two fine long range points from the midfield duo of Sean McCormack and Jack Hogan followed by a well taken goal by Shane Kenny. Further scores from David O’Connor and Matthew Stapleton left the score at 1-04 to 0-03 after ten minutes. But 2016 County Finalists Kiladangan weren’t behind for long and fought back with a goal of their own from Ciaran Kelly halfway through the half taking point lead before a score Jack Hogan and a monster effort from Thomas Fahy just outside his own 21 levelled things up again once again at 1-07 apiece with ten minutes to play to the interval. Three late first half points from Conor Kenny along with a long range effort from fullback Paddy Stapleton sent us in deservedly two points up at half time with the score reading 1-11 to 1-09.Conor Kenny picked up from where he left off in second half getting our first three scores including a one from play, a free and a 65 to stretch the gap out to three. A fine score from substitute Jerry Kelly and two more Kenny points put us five ahead and in a commanding position going into the last ten. But as they did in the first half Kiladangan rallied once more hitting four unanswered points slicing the deficit back to one once more. But we were spared a nervy finish when Ray McCormack gained possession of a long ball into the full forward line and rifiled the ball past Barry Hogan in the Kiladangan goals in injury time to put the result beyond doubt. Further points from Liam Ryan and another free Conor Kenny put a gloss on the final score as we ran out winners on score on a score line of 2-19 to 1-16.A great performance and victory for the lads, we will now go on to face Nenagh Eire Og in the final after their comprehensive victory over Toomevara in the other semi final, winning 3-17 to 3-08. This game has yet to be fixed but all new fixture updates can be found on all of our social media accounts as well as our Clubify page. Well done to our Junior ‘A’s who secured their first victory in this year’s North Junior ‘A’ Hurling Championship with a very impressive performance against KilruaneMcDonaghs in Toomevara last Friday evening.We were in control of the game right from the off and racing into a six point lead after just three minutes with three quickfire points from David O’Connor, Micheal Carey and Tomas Ryan followed by a fine finish to the back of the Kilruane net by the in form James McCormack to put us in a very commanding position early on. The McDonaghs hit back with a goal of their own after seven minutes but further scores Keith Ryan, James McCormack and a well struck free from David O’Connor kept us ahead with the score at 1-06 to 1-03 after ten. The gap remained at three for a large part of the first half with further scores from Ryan and McCormack keeping the scoreboard ticking over. The free taking exploits of David O’Connor along with a fine score from Ryan Murphy in midfield managed to push our lead out to six as we led 1-16 to 1-10 at the break.Kilruane started the brighter of the two teams getting the first two scores of the second half to bring the gap back to two before well taken scores from play from David O’Connor and Nicky Cooney restored the lead once again. McDonaghs railed once more reducing the gap back to three before a Micheal Carey rifled a shot from the right hand side of the goal into the far bottom corner to send us six clear once again. Further scores from Jody Harkin, Nicky Cooney and another from Keith Ryan pulled us clear with another O’Connor free and a long range score from substitute Shane McCormack ultimately ended the game as contest. Kilruane added a few consolation scores late on but it was too little too late as we ran out deserved winners on a score line of 2-23 to 1-21. 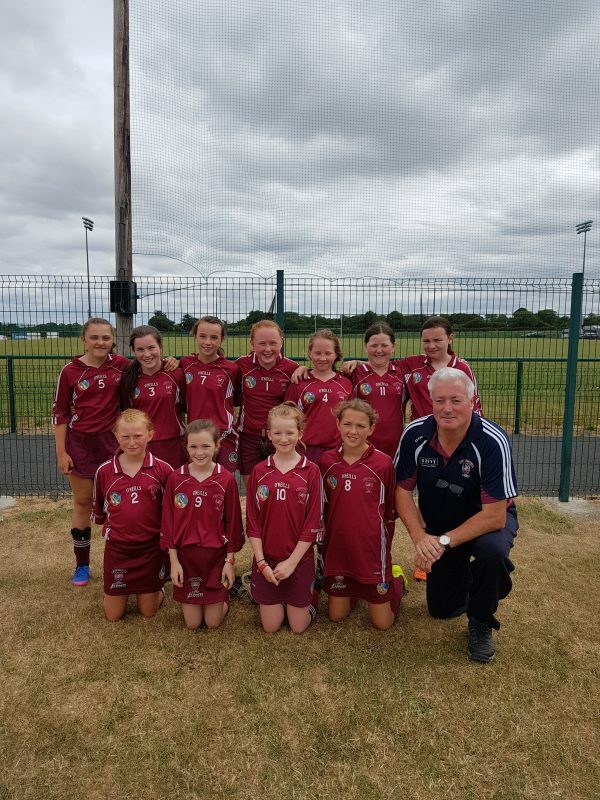 They now go on to play their final group game of the North Championship against Knockshegowna this week and must win to have any hope of progressing to the knockout stages of competition. This game will take place in MacDoangh Park in Nenagh on Friday the 20th of July at 7.30pm. Best of luck to both players and management.All support greatly appreciated. Commiserations to our Minor hurlers who were narrowly beaten by Toomevara in Round 3 of the North Minor ‘A’ Hurling Championship last night in MacDoangh Park in Nenagh in what was a tense and tight affair throughout.We were in the ascendancy right from the off with our Tipperary minor panellists Kevin Maher and James Devaney wreaking havoc in Toomevara defence in the opening ten minutes with Devaney registering our opening three points of the game along with a expertly finished goal from Maher put us five up with the scoreboard reading 1-03 to 0-01. But Toomevara settled themselves well and fought back getting the next five scores unanswered to level proceedings once again with seven minutes to go before half time. But Maher and Devaney stood up to the plate once again with Maher doubling his goal tally and Devaney adding a further two points from play to send us in five points up at half time with the score at 2-05 to 0-06.This time it was Toomevara who took the initiative in the second half, going on another unanswered score streak getting an impressive eight in a row to take the lead with thirteen minutes played. But we responded well with two points inside a minute from the free taking of Kevin Maher and well taken score from Jack Fitzgerald to tie up the game once again. But Toomevara restored their 2 point cushion with eight minutes left to play and despite the fine free taking of Kevin Maher and a fine score from play from the impressive Eddie Ryan it was one we would fail to bridge as Toomevara ran out winners on scoreline on 2-11 to 0-19.A tough defeat from lads with a few missed opportunities after half time proving costly in the end but one they will learn from as they continue in the remainder of their championship campaign. Their next assignment in Round 4 of the competition is a game against Nenagh Eire Og. This will take place on Wednesday the 18th of July in Templederry at 7pm. Best of luck to both players and management. All support greatly appreciated. 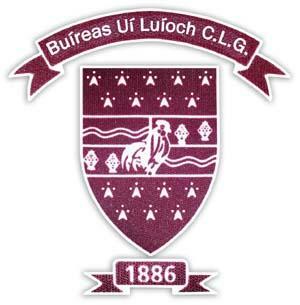 Borris-Ileigh juvenile fixtures for week commencing Monday 16 July. Borris-Ileigh V Ballina in Ballina @ 7pm. 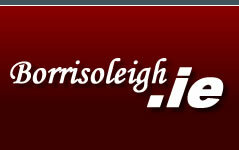 Borris-Ileigh V Moneygall-ClonakennyInMoneygall @ 7pm. Well done to all of this weeks lucky dip winners. Next Weeks Jackpot is up to a nice €9,400. Course will cover new changes taking place with ROS and PAYE.